The Solomon Islands is a long archipelago of 992 islands extending 1667 kilometers. To the west lies Papua New Ginea, to the South and southeast, New Caledonia and Vanuatu respectively. The total areas of the IS is approx. 28,900 square kilometers with a population of approximately 570,000 people. 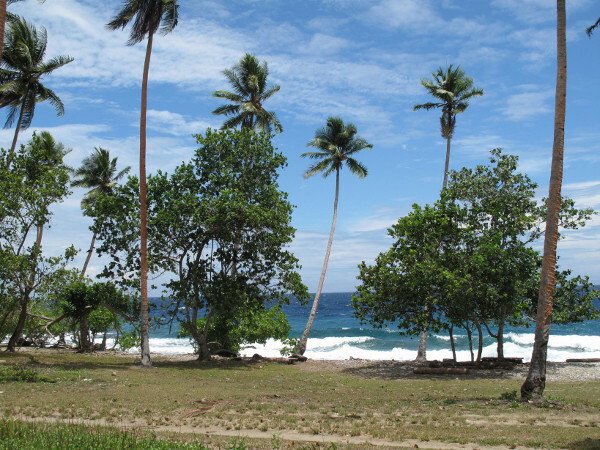 the capital, Honiara, situated on the island of Guadalcanal, lies some 2600 kilometers north-east of Sydney. Time: GMT + 11 hours. The country is officially English speaking although Melanesian pidgin is more widely spoken. There are over 100 local dialects in total. The people are mostly Melanesian (90%) with some Polynesian, Gilbetese, European and Asian. More than 95% of the population are Christian. Life expectancy at birth is 74 years. The Government is a parliamentary democracy with and election every four years. The Solomon Islands is a member of the Commonwealth with its nominal head of State being the British Monarch represented by the Governor General chosen by the Queen under recommendation of the Solomon’s National Parliament. The chief government official is the Prime Minister who is chosen by the 38 members of Parliament. In June 2003, then Prime Minister Sir Allan Kemakeza sought the assistance of Australia in reestablishing law and order after local unrest. An Australian peace-keeping force was soon put in place and has remained ever since. It has generally been effective in restoring law and order and rebuilding government institutions. The Solomon Islands were discovered approximately 5,000 years ago by the Austronesian. The Spanish were the first Europeans to visit the islands, Alvaro de Mendana naming them the Solomons in 1568. During it’s history, the islands have fallen under occupation of the Germans, the British and the Australians. In 1975 the Australian-administered Solomons became independent as part of Papua New Guinea. The British Solomons gained independence as Solomon Islands on July 7, 1978. The area around the Solomon Islands, Guadalcanal in particular, is famous for the numerous bloody ship battles during WWII where thousands of men lost theirs lives. Iron Bottom Sound, off the coast of Guadalcanal, is littered with the shipwrecks from these battles.